According to a report by the National Cancer Institute, approximately 33% of women over the age of 18 dye their hair regularly, as do about 10% of men over the age of 40. Obviously, a lot of people are heading to the salon (or the hair care aisle!) in order to get their hair the color they’d like. 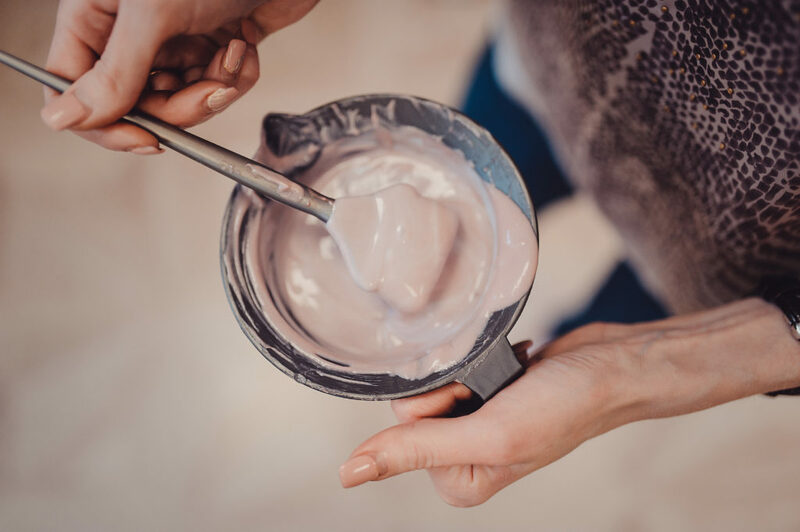 Whether you dye your hair yourself — or are just curious when your friends send you snaps of their foil-covered hair — have you ever wondered what exactly happens when people dye their hair? Do most people really know what goes on every time they treat their tresses? 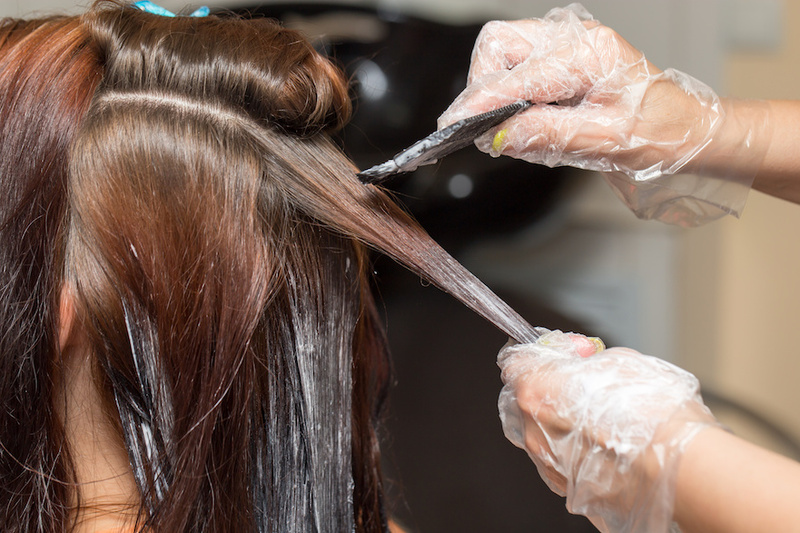 What really happens when you dye your hair? 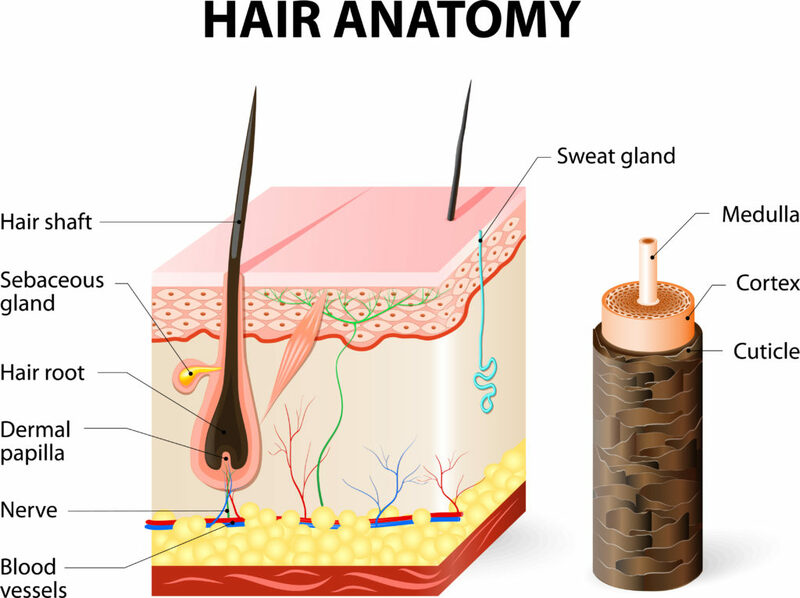 It’s easy to imagine of an entire head of hair being dyed when you talk about coloring your hair, but in reality, each individual little strand undergoes its own chemical transformation during the process! Weird to think about, right? Now that you’ve got a clear image in mind, let’s break it all down and see just what happens to our hair when we dye it. First, the cuticle becomes lifted. In order to get to the part of the strand that carries color, the cortex, we’ve got to lift those dead cells up and out of the way to really get to work. This is done with a chemical — most often ammonia. “When you color hair for the purpose of hiding grey hair or lifting pigment from the hair, ammonia or similar chemicals are used to lift the cuticle… either to push in or lift out pigment in the highest capacity,” LaBella says. Next, peroxide erases the existing color. Much like priming before you paint on a surface, your current color needs to be destroyed in order to create a clean canvas to work on, which is typically done with hydrogen peroxide. New color alters the appearance of the strand. Now that you’re working with a blank slate, your new color is able to seep in and get to work, altering the shade of your strands. It doesn’t take a hair care expert to realize that using chemicals such as ammonia and peroxide is doing a real number on your hair. We hate to break it to you, there’s no truly safe way to lift and deposit color. That said, there are a couple things to keep in mind that can make the process as gentle as possible. Okay, so what’s the safest way to dye my hair? Believe us when we say that we fully understand the appeal of an inexpensive box color you can snag at the drug store and then do in the comfort of your own home. But if healthy hair is a priority for you, you’re gonna want to book an appointment with a colorist you can trust. Leaving color on for too long can really hurt the shape of the cuticle as well, and some less expensive brands can be really heavy-handed with the chemicals, which will only end up hurting your hair that much more. 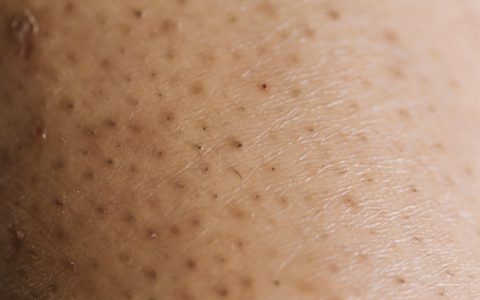 “Ammonia in high percentages can open the cuticle wide and cause it to remain partially open, resulting in a duller appearance,” LaBella adds. 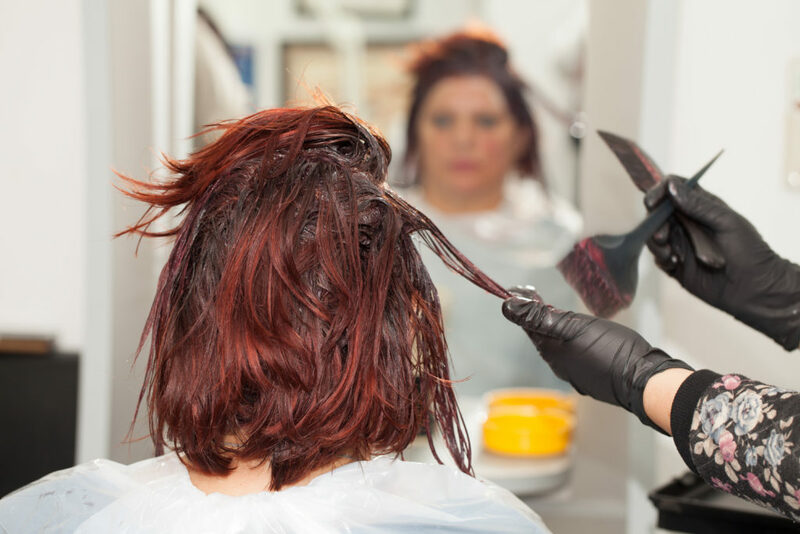 “It can also cause the color to bleed out faster and fade.” It may be a little pricey, but trust us, if you hope to lift and lighten your shade, leave it to a pro and save yourself, and your hair, a world of trouble. Use a gentle, color-safe shampoo. No matter how gentle you keep things, your hair’s cuticle is going to undergo damage when you dye, so be sure to treat it nicely once it’s all said and done. A gentle, color-safe shampoo can help hydrate… and buy a little more time in between those appointments! Don’t forget to condition, and take it easy on the heat-treat styling tools as well as you can. Take it easy on the color! At the end of the day, if you love coloring your hair we aren’t here to stop you. Just remember that staying informed can help you make the best decisions and, ultimately, result in your best head of hair!